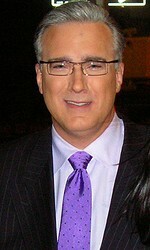 Keith Olbermann was suspended from MSNBC after making campaign donations to three Democrats. Puhhhlease! Suspended for campaign donations? Keith Olbermann? Why?? He is not a journalist, he is a commentator. So what does it matter if he makes a campaign donation? I think he is pretty much on the record about his opinions, don’t you? And the whole idea of MSNBC’s policy against campaign donations seems to be to prevent their journalists from any conflict of interest, to keep them objective in their reporting. But once again, this man is not a journalist, he is a commentator, like all of their evening lineup. This is an example of an old-school journalism organization (MSNBC, owned by NBC), trying its hand at new-school journalism (anchors who attract viewers based on their personal political persuasions), and failing outright because it can’t make up its mind what it is. End Mr. Olbermann’s suspension. It is ridiculous.